Welcome to the Thorncliffe Greenview Ice Skating Club! 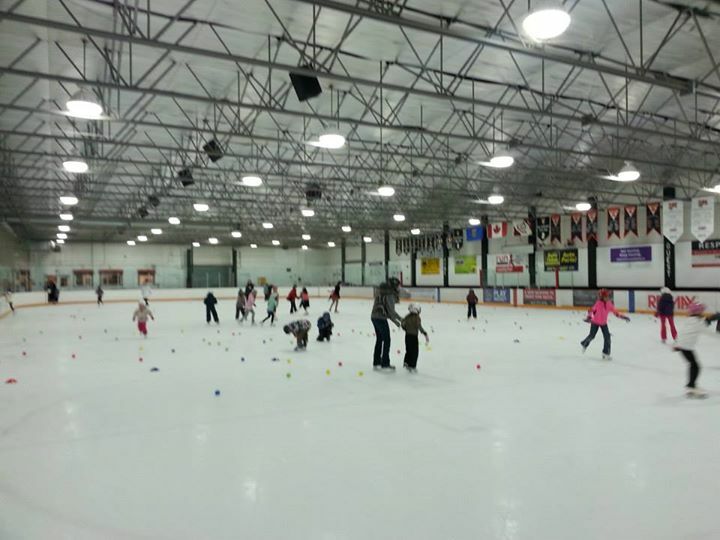 The Thorncliffe-Greenview Ice Skating Club is a Skate Canada sanctioned skating club. We are committed to providing an atmosphere that encourages enjoyment, personal development and achievement through quality skating programs. Skate Canada is dedicated to the principle of enabling every Canadian to participate in skating throughout their lifetime for Fun, Fitness and Achievement. Families can volunteer to work bingos at TGCA to reduce program registration fees. Bingos fill up FAST so avoid disappointment and register early! Bingos are first come, first serve. See link below for more information about how bingo’s work. *NEW - Families who wish to work bingos will be sent an online sign-up link to pick dates and are required to drop off mandatory deposit cheques. *Our club is run entirely by volunteers so please be patient. Someone will get back to you as soon as possible. Fundraising is not currently mandatory for our skating club. HOWEVER, the club sincerely appreciates all the families who participate in fundraising events throughout the year. In the past few years our fundraising efforts have helped to fund the following items: new sound system, new jumping harness, subsidies for Master Classes, subsidies for Team Wear, subsidies for out of town competition expenses, new supplies for CanSkate including the parachute, subsidies for test days, subsidies for team building events, therabands for off-ice, year end parties - just to name a few! Fundraising also helps to keep everyone’s fees lower as some of the items (like the new sound system) are mandatory and if we didn’t have fundraising money to purchase these items the fees would have to go up in order to afford them. A HUGE thanks goes out to all the families who have raised thousands of dollars for the club in the last few years!! Your support is greatly appreciated. Basic listening capabilities and ability to follow instructions at a level typical for a 3 to 5 year old child. Demonstrates the ability to respect authority figures. As parents are NOT ALLOWED on the ice, your child must feel comfortable about being away from mom/dad for 30 mins, having experience in a daycare/day home/playschool may help. ***A CSA approved helmet is MANDATORY for all CanSkaters and JumpSTAR skaters working on levels up to and including Stage 5. Once skaters have reached Stage 6, they can choose with their parent if they would like to continue wearing a helmet but we recommend wearing one until they move into Preliminary. The helmet must have a "CSA Approved" sticker on it or the skater will not be allowed on the ice. This is for insurance purposes. Thank you for understanding. Ski helmets are generally not CSA approved which is a common misconception. Please review all links on the left before proceeding then click on the REGISTRATION tab to begin! RETURNING MEMBERS: please login at the top right. If you can't remember your username/password please email us to have it re-set. Be sure of what program you're registering for, for what days and for which seasons - KickStart, Fall, Winter, Spring. If you're not sure please check with your head coach or email us before registering. The more seasons you register for up front, the more you save! Bingo volunteering is available to help reduce your program fees. See "Bingo Information & Policies" link on the left for complete details.